Today is the birthday (1888) of Thomas Stearns Eliot, OM, essayist, publisher, playwright, literary and social critic, and above all one the 20th century’s major poets. Eliot attracted widespread attention for his poem “The Love Song of J. Alfred Prufrock” (1915), which was seen as a masterpiece of the Modernist movement. It was followed by some of the best-known poems in the English language, including The Waste Land (1922), “The Hollow Men” (1925), “Ash Wednesday” (1930), and Four Quartets (1943). He was also known for his seven plays, particularly Murder in the Cathedral (1935) and The Cocktail Party (1949). He was awarded the Nobel Prize in Literature in 1948, “for his outstanding, pioneer contribution to present-day poetry”. 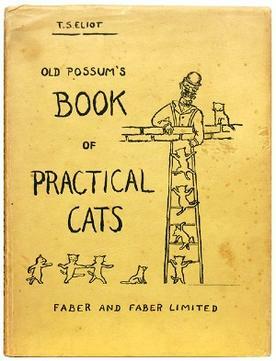 Long before I knew Eliot as a serious poet I knew “Macavity: The Mystery Cat” from Old Possum’s Book of Practical Cats, which was standard reading in my primary and secondary schools. “The Naming of Cats” from the same volume is still one of my favorite light verses [appended after the recipe]. I have also had a long history with “Journey of the Magi.” Eliot is hard to shake although he’s far from one of my favorites overall. Eliot was, born in St Louis, Missouri, the last of six surviving children; his parents were both 44 years old when he was born. Eliot struggled as a child from a congenital double inguinal hernia, which meant he could not participate in many physical activities and thus was prevented from socializing with his peers. Instead he was often isolated and chose reading thrilling novels as his companion. 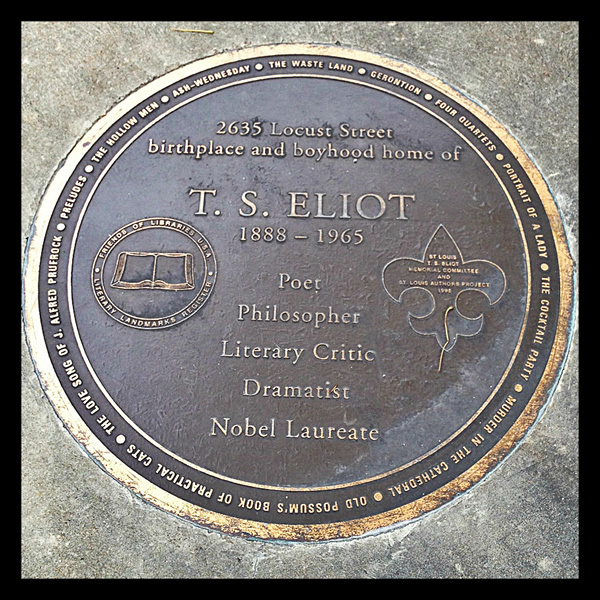 In his memoir of Eliot, his friend Robert Sencourt comments that the young Eliot “would often curl up in the window-seat behind an enormous book, setting the drug of dreams against the pain of living.” Eliot credited his hometown with fueling his literary vision: “It is self-evident that St. Louis affected me more deeply than any other environment has ever done. I feel that there is something in having passed one’s childhood beside the big river, which is incommunicable to those people who have not. I consider myself fortunate to have been born here, rather than in Boston, or New York, or London.” Mark Twain was, of course, one of his favorites. 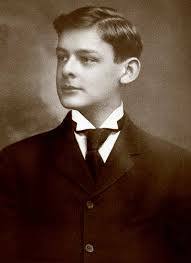 From 1898 to 1905, Eliot attended Smith Academy, where his studies included Latin, Ancient Greek, French, and German. He began to write poetry when he was 14 under the influence of Edward Fitzgerald’s Rubaiyat of Omar Khayyam, a translation of the poetry of Omar Khayyam. He said the results were gloomy and despairing and he destroyed them. His first published poem, “A Fable For Feasters”, was written as a school exercise and was published in the Smith Academy Record in February 1905. Also published there in April 1905 was his oldest surviving poem in manuscript, an untitled lyric, later revised and reprinted as “Song” in The Harvard Advocate, Harvard University’s student magazine. He also published three short stories in 1905, “Birds of Prey”, “A Tale of a Whale” and “The Man Who Was King”. 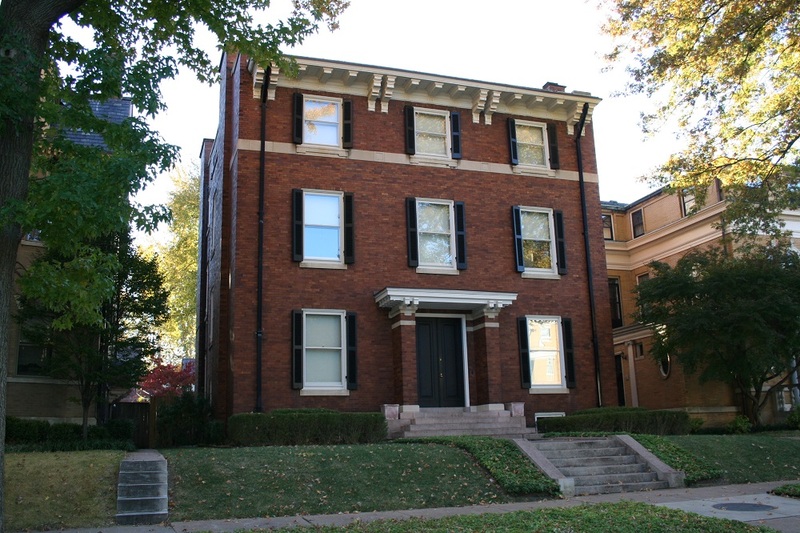 Eliot lived in St. Louis, Missouri for the first sixteen years of his life at the house on Locust St. where he was born. After going away to school in 1905, he only returned to St. Louis for vacations and visits. Despite moving away from the city, Eliot wrote to a friend that the “Missouri and the Mississippi have made a deeper impression on me than any other part of the world.” Following graduation, Eliot attended Milton Academy in Massachusetts for a preparatory year, where he met Scofield Thayer who later published “The Waste Land. He studied philosophy at Harvard College from 1906 to 1909, but ultimately earning his bachelor’s degree in an elective program best described as comparative literature in three years, and an M.A. in English literature in the fourth. After working as a philosophy assistant at Harvard from 1909 to 1910, Eliot moved to Paris where, from 1910 to 1911, he studied philosophy at the Sorbonne. He attended lectures by Henri Bergson and read poetry with Henri Alban-Fournier. From 1911 to 1914, he was back at Harvard studying Indian philosophy and Sanskrit. Eliot was awarded a scholarship to Merton College, Oxford, in 1914. He first visited Marburg, Germany, where he planned to take a summer program, but when the First World War broke out he went to Oxford instead. Eliot wrote to Conrad Aiken on New Year’s Eve 1914: “I hate university towns and university people, who are the same everywhere, with pregnant wives, sprawling children, many books and hideous pictures on the walls … Oxford is very pretty, but I don’t like to be dead.” By the time I went to Oxford in 1970, it had not changed much – still parochial and incestuous with a stiflingly high opinion of itself it barely deserved. Escaping Oxford, Eliot spent much of his time in London. London had a monumental and life-altering effect on Eliot for several reasons, the most significant of which was his introduction to Ezra Pound. A connexion through a mutual friend resulted in an arranged meeting and on 22nd September 1914, Eliot paid a visit to Pound’s flat. Pound instantly deemed Eliot “worth watching” and was crucial to Eliot’s beginning career as a poet, as he is credited with promoting Eliot through social events and literary gatherings. Thus, according to biographer John Worthen, during his time in England Eliot “was seeing as little of Oxford as possible”. He was instead spending long periods of time in London, in the company of Ezra Pound and “some of the modern artists whom the war has so far spared… It was Pound who helped most, introducing him everywhere.” In the end, Eliot did not settle at Merton and left after a year. By 1916, he had completed a doctoral dissertation for Harvard on “Knowledge and Experience in the Philosophy of F. H. Bradley”, but he failed to return for his oral defense. I came to persuade myself that I was in love with Vivienne simply because I wanted to burn my boats and commit myself to staying in England. And she persuaded herself (also under the influence of [Ezra] Pound) that she would save the poet by keeping him in England. To her, the marriage brought no happiness. To me, it brought the state of mind out of which came The Waste Land. After leaving Merton, Eliot worked as a schoolteacher, most notably at Highgate School, a private school in London, where he taught French and Latin—his students included the young John Betjeman. Later he taught at the Royal Grammar School, High Wycombe, a state school in Buckinghamshire. To earn extra money, he wrote book reviews and lectured at evening extension courses at the University College London, and Oxford. In 1917, he took a position at Lloyds Bank in London, working on foreign accounts. On a trip to Paris in August 1920 with the artist Wyndham Lewis, he met James Joyce. 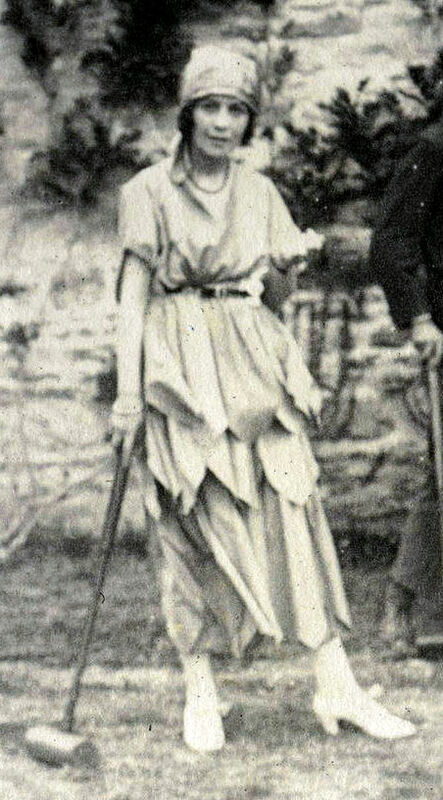 Eliot said he found Joyce arrogant—Joyce doubted Eliot’s ability as a poet at the time—but the two soon became friends, with Eliot visiting Joyce whenever he was in Paris. Eliot and Wyndham Lewis also maintained a close friendship, leading to Lewis later making his well-known portrait painting of Eliot in 1938. Charles Whibley recommended Eliot to Geoffrey Faber, and in 1925 Eliot left Lloyds to become a director in the publishing firm Faber and Gwyer, later Faber and Faber, where he remained for the rest of his career At Faber and Faber, he was responsible for publishing English poets such as W. H. Auden, Stephen Spender, and Ted Hughes. On 29th June 1927, Eliot converted to Anglicanism from Unitarianism, and in November that year he took British citizenship. He became a warden of his parish church, St Stephen’s, Gloucester Road, London, and a life member of the Society of King Charles the Martyr. He specifically identified as Anglo-Catholic, proclaiming himself “classicist in literature, royalist in politics, and anglo-catholic [sic] in religion”. 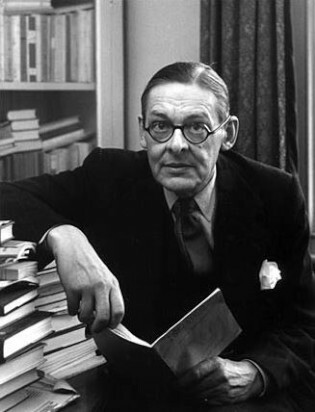 About 30 years later Eliot commented on his religious views that he combined “a Catholic cast of mind, a Calvinist heritage, and a Puritanical temperament”. He also had wider spiritual interests, commenting that “I see the path of progress for modern man in his occupation with his own self, with his inner being” and citing Goethe and Rudolf Steiner as exemplars of such a direction. By 1932, Eliot had been contemplating a separation from his wife for some time. When Harvard offered him the Charles Eliot Norton professorship for the 1932–1933 academic year, he accepted and left Vivienne in England. Upon his return, he arranged for a formal separation from her, avoiding all but one meeting with her between his leaving for the US in 1932 and her death in 1947. Vivienne was committed to the Northumberland House mental hospital, Stoke Newington, in 1938, and remained there until she died. Although Eliot was still legally her husband, he never visited her. From 1938 to 1957 Eliot’s public companion was Mary Trevelyan of London University, who wanted to marry him and left a detailed memoir. From 1946 to 1957, Eliot shared a flat at 19 Carlyle Mansions, Chelsea, with his friend John Davy Hayward, who collected and managed Eliot’s papers, styling himself “Keeper of the Eliot Archive”. Hayward also collected Eliot’s pre-Prufrock verse, commercially published after Eliot’s death as Poems Written in Early Youth. When Eliot and Hayward separated their household in 1957, Hayward retained his collection of Eliot’s papers, which he bequeathed to King’s College, Cambridge, in 1965. 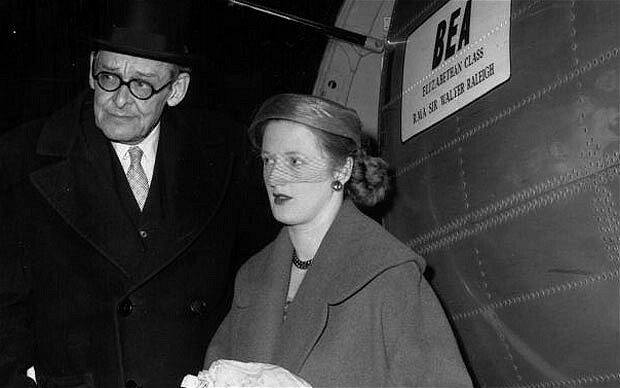 On 10 January 1957, at the age of 68, Eliot married Esmé Valerie Fletcher, who was 30. In contrast to his first marriage, Eliot knew Fletcher well, as she had been his secretary at Faber and Faber since August 1949. They kept their wedding secret; the ceremony was held in a church at 6:15 am with virtually no one in attendance other than her parents. Eliot had no children with either of his wives. In the early 1960s, by then in failing health, Eliot worked as an editor for the Wesleyan University Press, seeking new poets in Europe for publication. After Eliot’s death, Valerie dedicated her time to preserving his legacy, by editing and annotating The Letters of T. S. Eliot and a facsimile of the draft of The Waste Land. Canard aux oranges, sometimes canard à l’orange, has made its way to the US and UK as duck à l’orange which is frequently a pale junior cousin of the original. Most cooks outside of France (and some in France), make a pallid orange sauce that they bathe the duck in and think they have created a masterpiece. Real care needs to be taken in preparing the sauce and it should not simply be poured over the duck like a gravy, but served on the side. First step for me is to roast the duck at very high temperature: 500°F/260°C. Prick the duck’s skin well all over and place on a rack in a roasting pan so that the duck is not immersed in fat as it renders out. Repeat the pricking throughout the roasting process. The skin will self baste and become crisp. A 5 lb duck will take about 45 minutes. Meanwhile make the orange sauce by combining ¼ cup of granulated sugar with 3 tablespoons of sherry vinegar in a saucepan and heating over medium-high heat, stirring constantly. The mixture will boil vigorously and eventually caramelize. As soon as it is golden brown turn off the heat. Stirring constantly, add in 1 cup of veal, duck, or chicken stock, and then warm through on low heat. Juice and zest 2 Seville oranges and add this to the sauce. The juice should be about ½ cup. Simmer uncovered until the sauce has reduced and thickened. Add 3 tablespoons of Grand Marnier, and 2 tablespoons of butter. Continue to simmer until the sauce is thick enough to coat a spoon. Serve the duck on a heated platter, jointed and with the breast cut into thick slices with skin on. Serve the orange sauce separately in a sauce boat, allowing guests to pour it over the meat, without moistening the crisp skin.